At the request of the author and WOW Tours, a digital edition was sent, at no cost to me, for my honest opinion. Synopsis (from Amazon): What would you give up for the people you love? When Megan Taylor, a single mother and artist, receives the shocking news that her cancer has returned, she’ll be faced with the most difficult decision she’s ever had to make. She’ll endure an emotional journey, questioning her own moral and ethical values, and the decisions she’d made long ago. The love she has for her daughter, Olivia, and her closest friends, will be stretched and frayed. Meanwhile, fourteen-year-old Olivia’s world is falling apart right before her eyes, and there’s nothing she can do about it. She finds herself acting in ways she cannot even begin to understand. When her internal struggles turn to dangerous behavior, her life will hang in the balance. My Thoughts and Opinion: Let me tell you right up front that I am going to have difficulty reviewing this book because of the heart wrenching premise and the moving emotions that were conveyed. 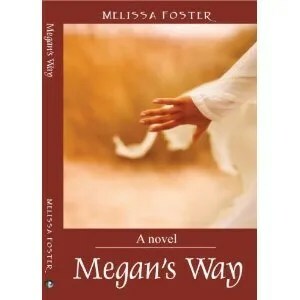 Miss Foster’s writing style was flowing and allowed the characters to come to life from the very start. The friendships, so detailed and poignant yet flawed. Friendships that were so loving and loyal yet secretive with bits of betrayal. Decisions that are truly thought provoking, asking oneself “what would I do in that situation?”. This reader, as in real life, had tears of happiness and silliness but at other times sadness and grief. There is also a spiritual connection between mother and daughter. I think if you believe in an after life, Ms. Foster, describes one that is something we all hope for. An emotional block buster!! Highly Recommend!! !